Potrero Hill’s brilliant sunshine and small town vibe captivates everyone who sets foot in the neighborhood’s clean, pedestrian-friendly streets. The steep inclines command cinematic views of the city, while fine amenities provide countless opportunities for fun and relaxation. 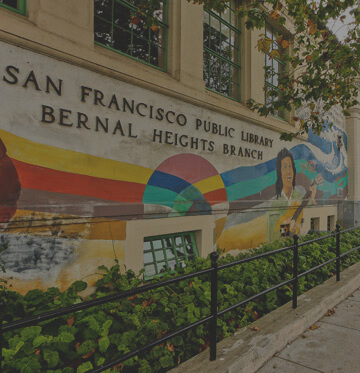 Bordered by 16th Street, Third Street, Cesar Chavez Street, and Potrero Avenue, “The Hill” feels fairly secluded because of the freeways and industrial landscape that surround it. 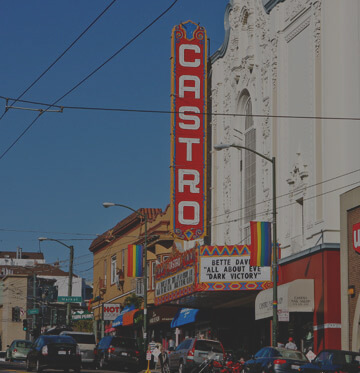 This gives you some distance from the daily grind of San Francisco City, letting you enjoy a slower pace of living. Despite its proximity to business hubs like Mission Bay and the San Francisco Design Center, Potrero Hill is primarily residential. Families and young professionals who commute to the East Bay or the Peninsula for work call this place home. The housing stock is consists mostly of single-family homes and condominiums. Colorful and long-standing Victorians are prevalent in the neighborhood, along with modern masterpieces. A number of factories and warehouses have been converted into sleek lofts and live-work spaces as well. Most homes have two to four bedrooms and one to four and a half bathrooms. Home sizes typically range from 1,000 to a little over 4,000 square feet. Luxury homes can have as many as two master suites on top of regular bedrooms, along with high-end finishes like hardwood flooring and smooth counter tops. Rear decks, private gardens, and chef’s kitchens are common features. A Caltrain station and freeway access makes it easy for residents to get to and from the neighborhood. The San Francisco International (SFO) Airport is a 20-minute cab ride away. If you think Potrero Hill is for you, call me, Jeff Salgado, at 415-915-9916 or send an email to jeff@jeffsalgado.com. 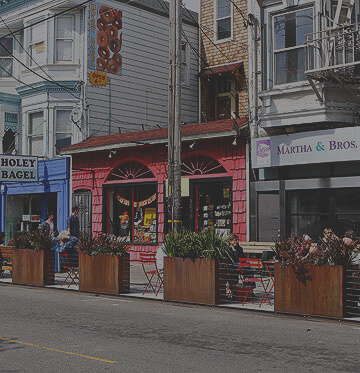 There’s always something to do in Potrero Hill – walk, jog, skate, or play ball at any of the community spaces here.Discover some hidden gems and amazing food at the local shops and restaurants. Play your favorite sport or join a community class at Potrero Hill Playground and Recreation Center. Here you’ll find a gymnasium, baseball field, basketball court, and two lighted tennis courts. BBQ grills and picnic tables are also available for gatherings and celebrations. Go for a walk at McKinley Square, where the sight of mature trees and lush lawns will put you in a relaxed state. Enjoy breath-taking views of Twin Peaks and the Mission at Potrero Hill Community Garden. Over 50 plots filled with beautiful flowers and organic fruits and vegetables can be found here. Get a rush of adrenaline at Potrero Del Sol, San Francisco’s largest skate park. The neighborhood’s commercial strip, 18th Street, is lined with specialty shops and restaurants. Christopher’s Books has a wide selection of children’s books, fiction titles, and cookbooks. Sit down for a three-course meal and a bottle of French wine at Chez Maman. The menu consists of mussels, escargot, burgers, and fries. If you’re in the mood for Vietnamese, come to Sunflower. Lemongrass prawns, curry vegetables, and shrimp spring rolls are just some of the dishes on offer. Plow serves farm-to-table American comfort food. Feast on roast pork belly sandwiches, crispy strips of bacon, and almond flour pancakes doused with pure maple syrup. For more information, visit the Potrero Boosters Neighborhood Association website.